All you need is a little creativity and you can break a Guinness World Record whilst running for charity. What better way to entice your fundraisers than giving them the opportunity to sponsor an attempt to break a world record. This is a great way to get some much need for PR for your charity and your fundraising target. Run for charity love the idea of boosting fundraising by doing something truly exceptional & setting a world record. 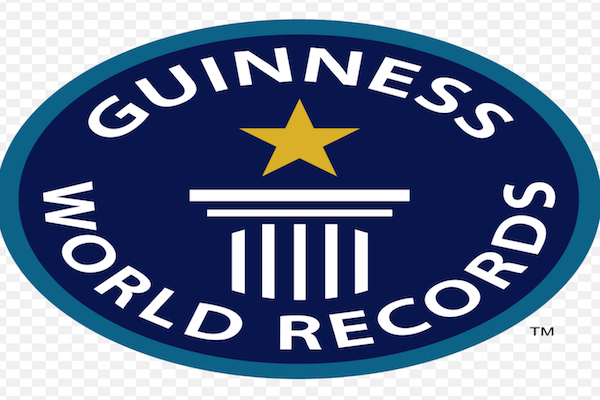 The Guinness World Records database is bursting with exciting, inspiring and downright wacky stories from people across all kinds of life â€“ who set seemingly unattainable goals and have the determination to achieve them. Breaking a Guinness World Record whilst running for charity is your chance to shine a spotlight on your achievement and raise money and awareness for your charity. Why not bring the attention of a global audience to your fundraising efforts? The fact that you are committed to a run for charity and set to break a world record will prove just how dedicated you are to both the race & the charity - check you out! The incentive of breaking your record will give everyone involved something to really get excited about & hopefully donate more money to your charity. As you endeavor to raise more cash, experiment with fundraising options, ask your sponsors if they agree to double their donation (or at least provide a small bonus) once you have successfully broken the world record â€“ an amazing incentive to keep you motivated. Attempting to break a word record whilst running for charity is becoming increasingly popular, the 2012 London Marathon saw over 100 weird and wonderful attempts to break world records during the race, with 29 of these successful! The record was set for the oldest marathon runner at 101, who finished his race in seven hours and 49 minutes â€“ truly inspirational. The Fastest marathon run by a parent and child was also broken, come on, come on, everyone loves a family challenge. Okay, if speed is not your strong point, you may opt to run for charity in fancy dress. The fastest marathon dressed as a lifeguard was broken; eat your heart out Hasselhoff! Other records broken on race day included the fastest marathon dressed as a jester completed in three hours one minute (and he wasn't joking either), the fastest marathon dressed as a Roman Soldier heroically completed in two hours and 57 minutes, and the fastest marathon dressed as a vegetable in a healthy two hours and 59 minutes â€“ just a delicious achievement! The standing six-hour record for the quickest hula hooping runner was smashed & ran loops around in a time of five hours and five minutes, these circling hips raised more than £2,000 for the NSPCC. A Brother and sister duo broke the record for the fasted time on stilts â€“ A tall challenge indeed! Running for charity & attempting a world record provide all kinds of exciting options; the world is your oyster. Hmmm, now there's an idea, the fastest marathon dressed as an oyster. Now there is another great incentive for sponsorship. Remember, the wackier your idea, the higher the chance that it has never been attempted, bringing you closer to being a Guinness World record holder. Last big decision â€“ where to hang the certificate! From all of us at run for charity â€“ Good luck making history!